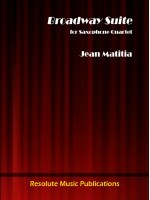 by Jean Matitia. 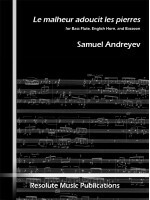 A fantastic new saxophone quartet, written in a style reminiscent of Gershwin, Jopl..
by Samuel Andreyev. Scored for mixed chamber ensemble of bass flute, English horn, and bassoon. ..